MinuteDock automatically sets the hourly rate for a contact, based on the first line of any invoice you create for that contact. This means that we’ll automatically keep up to date with your latest hourly rate. 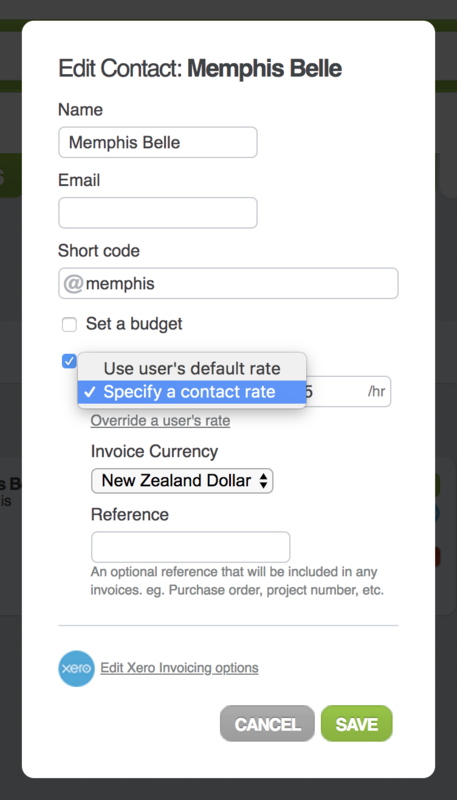 You can manually set the hourly rate for a contact by visiting the contacts tab and editing the contact. If you do this, MinuteDock will stop automatically updating the hourly rate for you.